Born and raised on the West Coast of Canada, Neil has worked in the Information Technology sector for over 50 years, the last 19 as an IT consultant specializing in interim management, leadership skills and coaching, strategic planning and outsourcing. Since 2010 years Neil has primarily worked overseas in fascinating places such Beijing, Ulaanbaatar, Singapore, London, Johannesburg and DR Congo. Neil is a member of Radio Amateurs of Canada (Assistant Section Manager BC), ARES, Coquitlam Amateur Radio and Emergency Services Society, Orca DX and Contest Club, BCFMCA, INDEXA and the Northern California DX Foundation. Neil is also actively involved in the British Columbia Wireless Amateur Radio Network (BCWARN), the organization responsible for implementing Western Canada's first WINLINK EMCOMM PMBO and the creation and deployment of a high speed (50mbs+) multi-node Wi-Fi network backbone roughly 200km in length. In the event of failure of conventional telecom services during a major disaster, this backbone connects participating amateur radio clubs, EOC's and community emergency social services locations in South Western British Columbia with digital data, VOIP, video, worldwide email and internet access services. Hobbies also include skiing, SCUBA diving, sailing, travel, bike riding, photography and video (including underwater). Neil was first licensed in 1979 as VE7CVM, attained his advanced certification in 1980 and acquired the call VA7DX in late 1999. 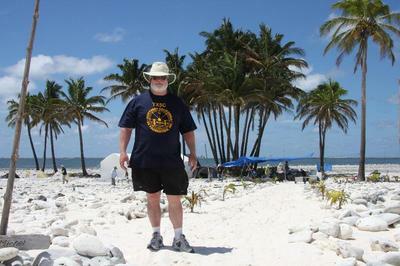 An avid HF, VHF and UHF contester, preferring DX to sleep and CW to SSB, Neil has also dabbled in meteor scatter, EME, tropo and satellite operation from VE7 as well as DX locations such as 7P8 and 3DAØ.